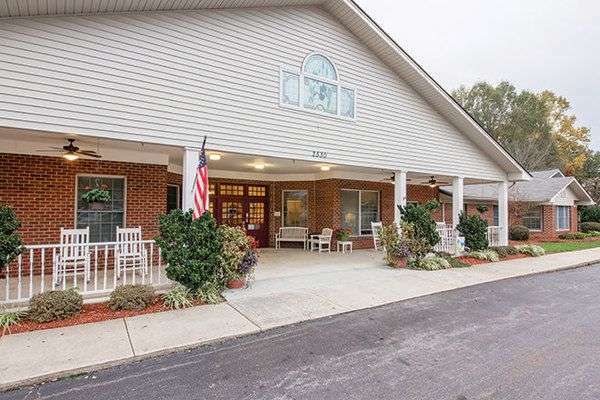 We found 1 result for memory care in Claremont, North Carolina. Memory care costs in North Carolina range from about $53 to $382 per day, with an average expense running approximately $142. The per month expense averages around $4,263 and ranges between $1,595 and $11,447. On a yearly basis, the average cost is about $51,156, which is below the nationwide average of $60,900. Claremont is a small city in Catawba County, North Carolina. It is part of the Hickory-Lenoir-Morganton metro statistical area. The surrounding metropolitan area includes 287,467 inhabitants, but there are 9,913 living within the city itself. The 55-and-over community constitutes approximately 25% of the total population. Claremont has a good SeniorScore™ of 73. The city has a median per capita income of $21,000. The median household income is $41,000 versus the average of $41,000 for the whole of North Carolina. The current unemployment rate is around 7.11% and the median housing price is $168,000, which is relatively less than the North Carolina average of $204,000. Claremont has mild mean temperatures, with comfortable winters and warm summers. The area receives very high levels of rainfall each year. Compared to other cities, Claremont has a higher than average rate of crime and below average air quality. To see information on the SeniorScore™ for Claremont, NC, please visit senioradvice.com/seniorscore/senior-living-in-claremont-nc.